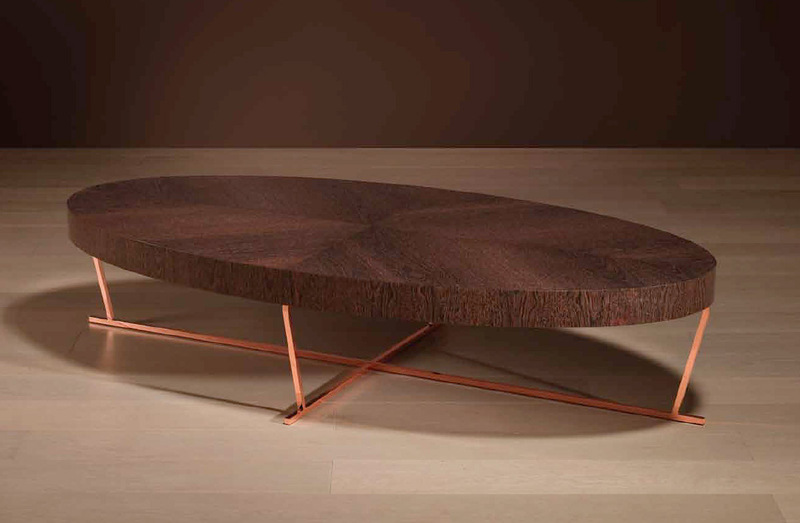 Oval coffee table with base in metal with antique bronze or polished copper and top surface in wood in a choice of species and tints. Wood finish options: Oak wood in: natural, grey, smoke, or mocha tint. American walnut in: natural, dark, or mocha tint. Sukupira in grey tint. Rosewood. or Ebony wood. Top surface in wood . See above.